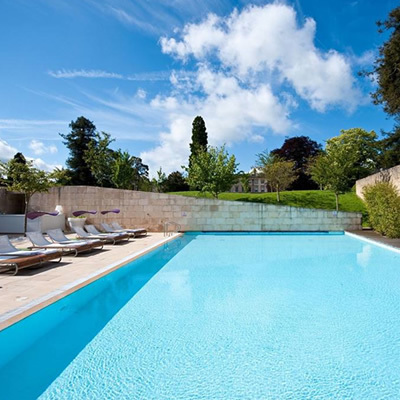 Located in rural Gloucestershire, Cowley Manor is a breath-taking property from the moment it comes into view at the end of the long, sweeping driveway. After visiting previously and having a very enjoyable stay, we were keen to revisit and see how things had changed. 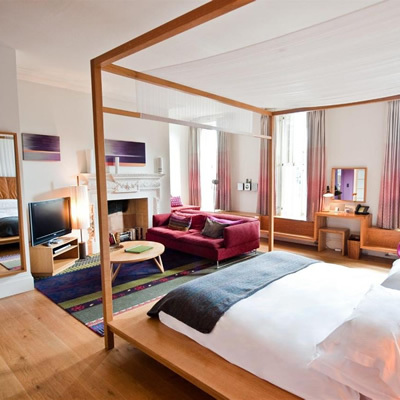 We experienced their ‘Best Room’ during our visit, the room is incredibly spacious and well-appointed, and the more we explored the more impressed we were. The focal point for us was the four-poster bed, it was most comfortable and had a lovely wood finish in-keeping with the furnishings throughout the room. Guests can enjoy the complimentary mini bar, there is a large plasma TV, a sound system which also feeds through to the bathroom, a very comfortable circular corner sofa with plump cushions, an espresso machine, and my favourite feature which was a huge private terrace. 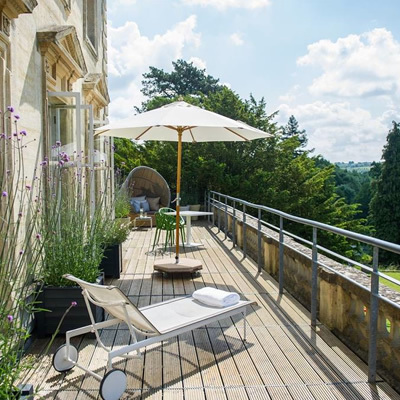 The terrace offers incredible views over the lake and surrounding countryside along with a beautiful ancient church which sits in the grounds of Cowley Manor. The garden furniture is plush and doesn’t disappoint when relaxing, it’s a pleasant way to take in all of the views and the ambiance set by such a peaceful and tranquil location. Putting the room aside, the hotel is full of character and has features you would expect to find in the bright city lights of London or New York. 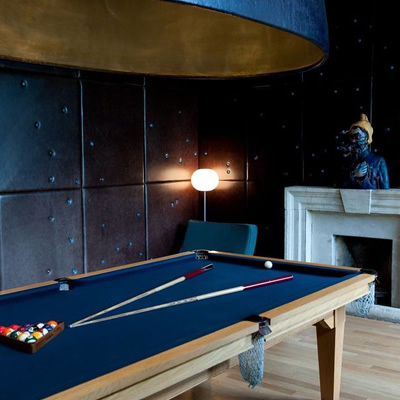 As we explore the hotel we found a huge blue-lined pool table with large art adorning the walls. 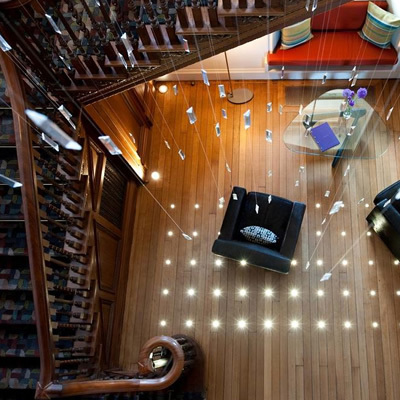 There is also a charming library next door, and a drawing room where afternoon tea is served. We enjoyed an early drink in the bar before moving through to the Malt Restaurant. We have to mention the spa at Cowley. The outdoor heated pool was a joy to experience before breakfast on the brisk February morning we visited, there was also a good sized gym, an indoor pool and a host of relaxing spa treatments. 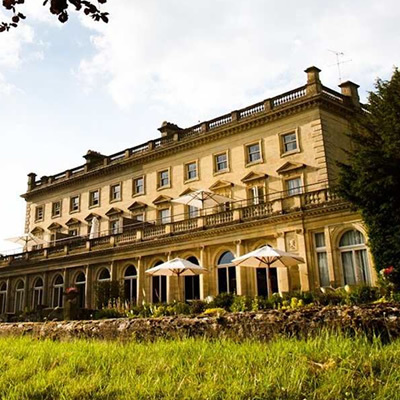 Cowley Manor is intriguing and offers something for everyone. There is plenty to explore around the hotel, and across the surrounding countryside. It’s a truly luxurious experience, and we cannot fault it. We’re already looking forward to returning in the future.